I like the frame choice. Dark brown simple flat frame. 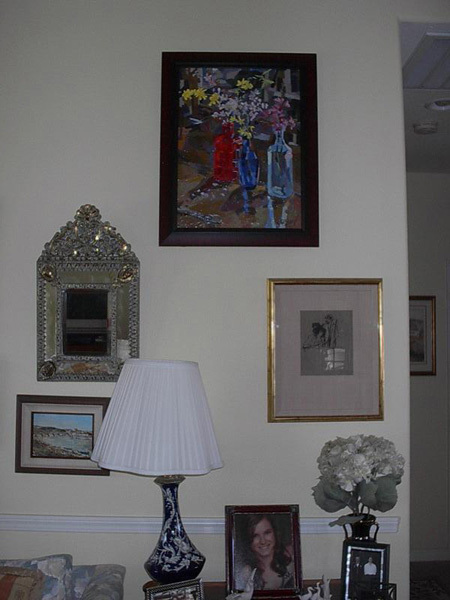 The painting looks great on the wall.